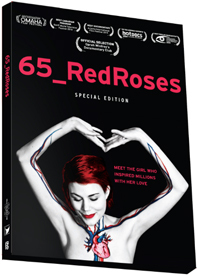 Eva’s online name was 65_redroses – from “65 Roses” – a term coined by child CF sufferers who couldn’t pronounce cystic fibrosis. Eva added ‘red’ because it was her favourite colour. Eva knew that a transplant would never cure her CF, but wanted what was most important to her – more time to spend with her loving friends and family. The film records her excruciating wait, the contrasting emotions of excitement and fear as her pager goes off, her transplant and road to recovery. Cystic fibrosis is a multi-system disease that affects mainly the lungs and the digestive system. In the lungs, where the effects are most devastating, a build-up of thick mucus causes severe respiratory problems. Mucus and protein also build up in the digestive tract, making it difficult to digest and absorb nutrients from food. As improved therapies have helped to address the malnutrition issues, ultimately most cystic fibrosis-related deaths are due to lung disease. Thank you to our supporters in CF Awareness! The Boomer Esiason Foundation is a dynamic partnership of leaders in the medical and business communities joining with a committed core of volunteers to heighten awareness, education and the quality of life for those affected by cystic fibrosis, while providing financial support to research aimed at finding a cure. Thank you for co-promoting our campaign! Cystic Fibrosis Research, Inc. exists to fund research, to provide educational and personal support, and to spread awareness of cystic fibrosis, a life-threatening genetic disease. As we work to find a cure for cystic fibrosis, CFRI envisions informing, engaging, and empowering the CF community to help all who have this challenging disease attain the highest possible quality of life. Thank you for co-promoting our campaign! 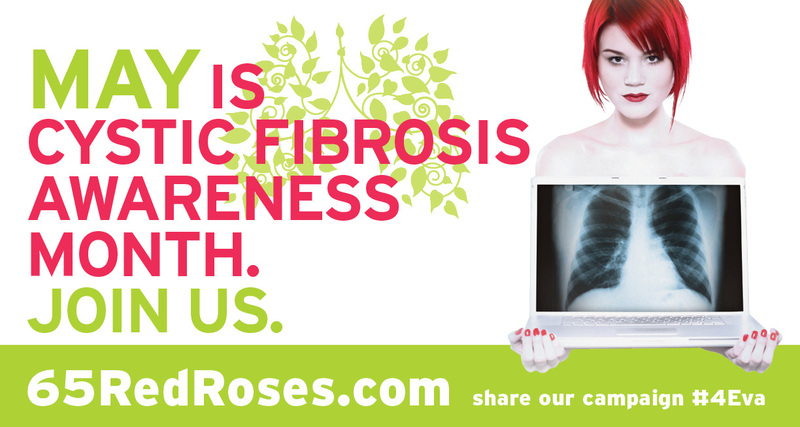 Cystic Fibrosis Canada is a proud partner of 65_RedRoses. Eva Markvoort was an inspiration to people worldwide. Her undeniable strength, courage, and spirit have moved many people in the CF community and beyond.